Posts by category "Working Life"
Goal setting is a thoughtful and challenging process and the journey to success can be long and difficult. Attainment through trial and error, personal deliberations and a whole lot of hard work deserves recognition. Even if only by yourself. So you have identified what your goal is, how it relates to your values and created a vision board or mind map to stay focused and creative with reaching your goal. NEVER GIVE UP -Self-Sabotaging Your Goals. How not to! Goals are what keep us going and help us take that next step into the future. We see, we judge, we measure and finally devote our time and resources to certain places we want to reach in our lifetime. The Most Feared 6 Letter Word In Business. CHANGE! Okay so you heard them say it. You watched the new personnel arrive and the renovations are in full swing. So why do you feel so anxious? Why does change in our work environment make us so nervous? 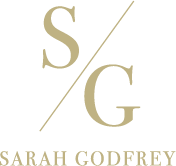 Sarah Godfrey works with her clients to empower and supercharge their development, whether that is in life, work or relationships.